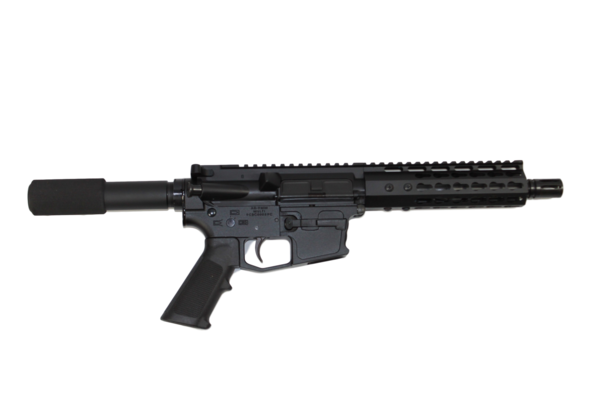 The CBC Industries 9 mm AR-15 Pistol is non-lock back. Configured with 7.5″ barrel, these versatile rifles use Glock 17 Style magazines. CBC AR-9 Pistols offer the performance of the AR platform in a compact and versatile pistol package. CBC AR-9 pistols come in many options, styles, and calibers. All of our AR-9 pistols are custom built to order enabling us to provide you with the lowest priced AR’s around. You can also buy with confidence knowing all of our AR-9 pistols come with a lifetime warranty!